Knitting and crochet today spans multiple demographics and communities thanks to its growing popularity as a handy and stress-relieving hobby or side hustle. But the journey of every yarn artist is different — while some knitters and crocheters have years of experience under their belts already, plenty more are also just getting started. 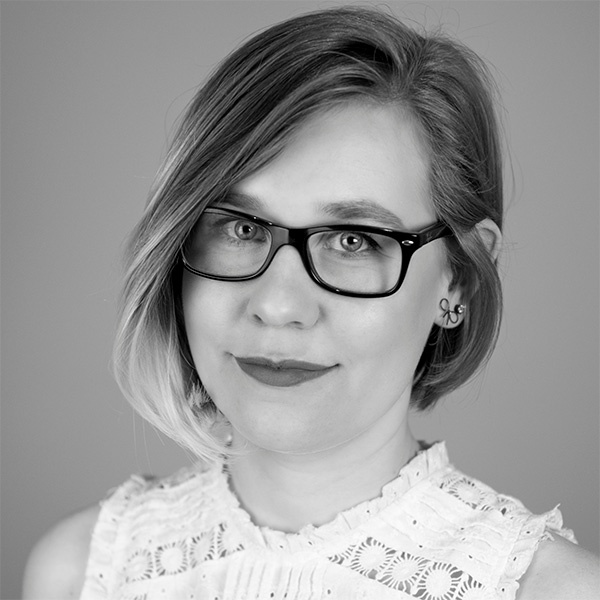 If your brand considers knitters and crocheters among your target audiences, knowing the different challenges that these crafters face at different points in their journey can help you optimize your content and create stronger connections at appropriate times. In this post, we'll compare some common characteristics of knitting and crochet rookies vs. pros as well as discuss the commonalities that can allow your brand to make genuine connections with both groups. While still in the learning stages of their craft, beginners tend to stick with the basic stitches they learned from a variety of sources: family members, craft classes, online how-tos, and more. They're less likely to take on more ambitious projects and often stick with smaller items, like socks, hats, and scarves. Knitters and crocheters with more experience have built up the skills to attempt more advanced stitches that require careful attention and coordinated hands or needles. 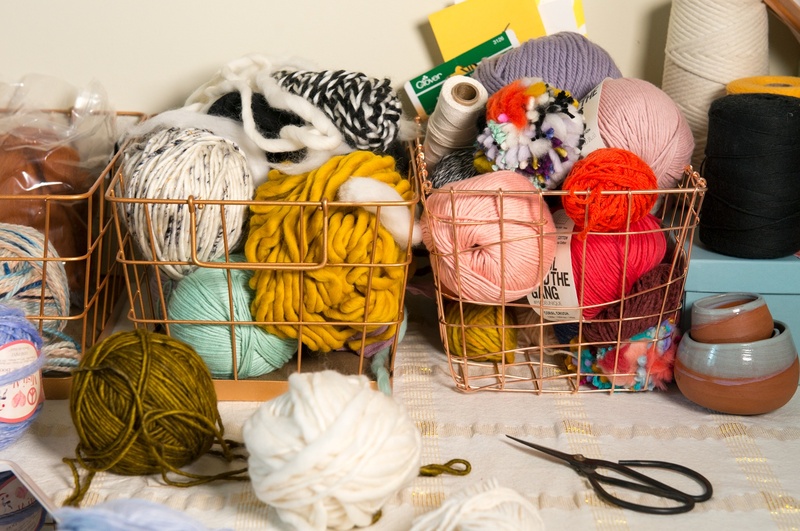 Additionally, while experienced crafters will often still create cozy accessories, they're more likely to also take on larger projects like full sweaters, comforter sized blankets, or intricately designed items. Regardless of where passionate crafters are in terms of skill, there's always room to improve and learn more about knitting and crochet techniques and designs. Most are constantly sharing tips and recommendations with others, reading online or in magazines about new products and techniques, and searching Pinterest and Instagram for inspiration. Most rookies tend to purchase cheaper, acrylic or synthetic yarns carried by craft stores or retailers like Target or Walmart. These low-cost options reduce general worries about making mistakes and wasting materials. While some rookies might be more concerned with building up their stitching skills than they are with sourcing higher quality products, others may simply not know that there are different types of yarn to choose from. Knitters and crocheters with more experience tend to be more discerning about the types of yarns they craft with. They're confident in their skills and opt for higher-quality (and sometimes more expensive) natural fibers that offer the look and feel they're going for, like wool. 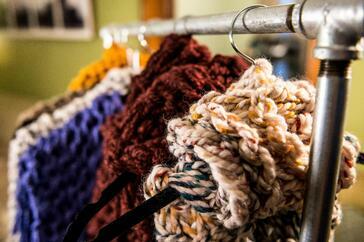 They may also opt for specialty design yarn, such as large chunky knits, more often than beginners. On both sides of the spectrum, crafters like to know that they're getting the best product for the best price. They're motivated to try out different brands, textures, and materials within their price range (and sometimes even outside of it) if the reviews and recommendations make a strong enough case. If switching products presents the opportunity to improve their final product, most crafters are open to at least testing out a new type or brand of yarn. Rookies who are still practicing their stitching skills are most likely to stick firmly to the pattern they're using from start to finish. Without the experience to know how certain changes will affect the final product, they're most likely to end up with a successful project by following their chosen pattern closely. Pros have completed enough projects in the past to understand how the design of a pattern affects the final results. Therefore, they're much more likely to customize their project by making aesthetic or functional changes to the patterns they're using. Some even take their skills one step further by learning to develop their own original patterns, allowing them to create any item they can imagine and design. 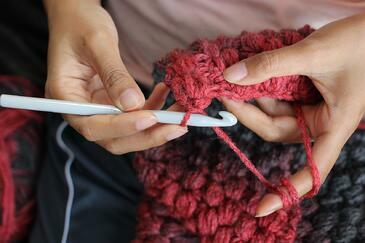 Knitters and crocheters at any stage can run into challenges in their work, with or without a pattern. When something goes wrong, both rookies and pros have a favorite online resource to turn to: YouTube. 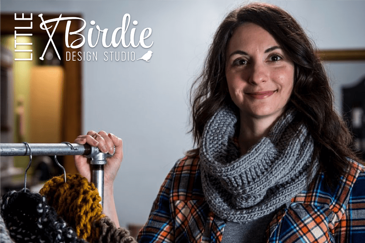 Knitter Tori Tedesco told us in an interview that she'll always turn to YouTube when she can't figure something out while knitting, she turns to video tutorials to walk her through it and save her project. The ability to see possible solutions demonstrated with video is invaluable for crafters, whether they're learning the basics or dealing with a more advanced challenge in their craft. While knitters and crocheters may all have different budgets, skills, and time to devote to their craft, they also have a lot in common, too. While your brand can choose to target one group or the other, it might be easier (and more beneficial) than you think to connect with both rookies and pros in your industry. Even if your products are more geared toward beginners, some pros choose to introduce the hobby to their friends and family, or even teach classes in their community. If you leave a good impression, they're more likely to recommend your brand to the beginners or pros they know, in person or online. On the other hand, even brands that are geared more towards experts have the opportunity to connect with rookies early on in their journey through content, FAQs, and advice. As rookies continue to develop their skills, they're not likely to forget who helped them along the way if you remain a valuable source of information (and later, products) consistently in their process. Your ability to be there throughout a crafter's journey is the best way to build your reputation as an expert in your industry and maintain a passionate base of brand supporters and advocates. Sign up to receive updates from us (no more than 1-2 per month, we promise). We'll send you cool projects we've completed, new Maker Profiles and even some free "stuff". Sign up today!